The only one of the Braves' top nine prospects still with his Opening Day club got his own promotion Wednesday. Atlanta promoted No. 3 prospect Ian Anderson from Class A Advanced Florida to Double-A Mississippi, the Florida State League club announced. The 20-year-old right-hander is among the FSL leaders in multiple categories. His 118 strikeouts, 28.5 percent strikeout rate and 2.64 FIP over 100 innings each led the circuit while he placed second with both a 2.52 ERA and 1.13 WHIP. Anderson was named the FSL Pitcher of the Week last week after allowing only one run on three hits and one walk over 12 2/3 innings. 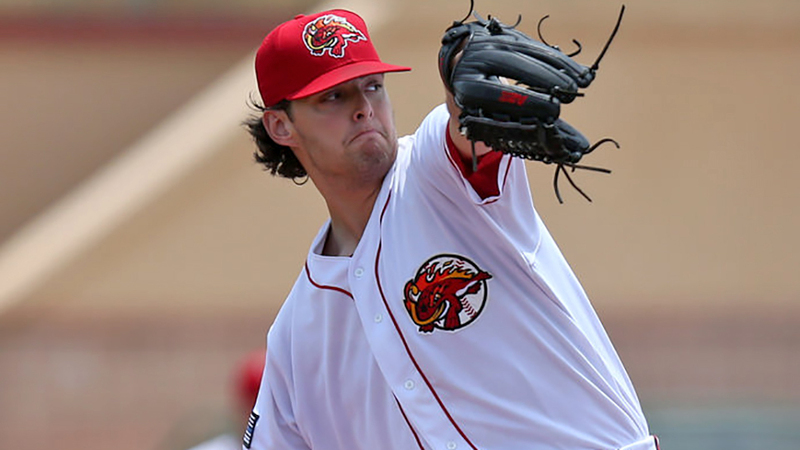 He gave up three earned runs on three hits and four walks while fanning five over 5 1/3 innings in his final Fire Frogs start Tuesday. Anderson improved significantly over the past two months. Since June 1, he's posted a 1.71 ERA with 66 strikeouts and 21 walks in 58 innings. He held opposing batters to a .195 average over that span, and only three of his 41 hits allowed went for extra bases. Taken third overall in the 2016 Draft out of an upstate New York high school, the 6-foot-3 right-hander has risen to the No. 39 overall spot in MLB.com's rankings on the strength of his above-average fastball, curveball and changeup. The fastball, with its downward movement in particular, has helped Anderson, who has given up two dingers this season, keep opponents from making hard contact. Anderson is one of just four Minor Leaguers to pitch at least 100 innings this season and allow two or fewer home runs, joining Dakota Hudson, David Peterson and Conner Menez. Anderson joins No. 57 Cristian Pache, who moved up to Double-A last week, to give Mississippi two top-100 prospects. He beats out Kyle Muller (No. 11 in the Braves system) to become the Southern League club's top-ranked pitching prospect.